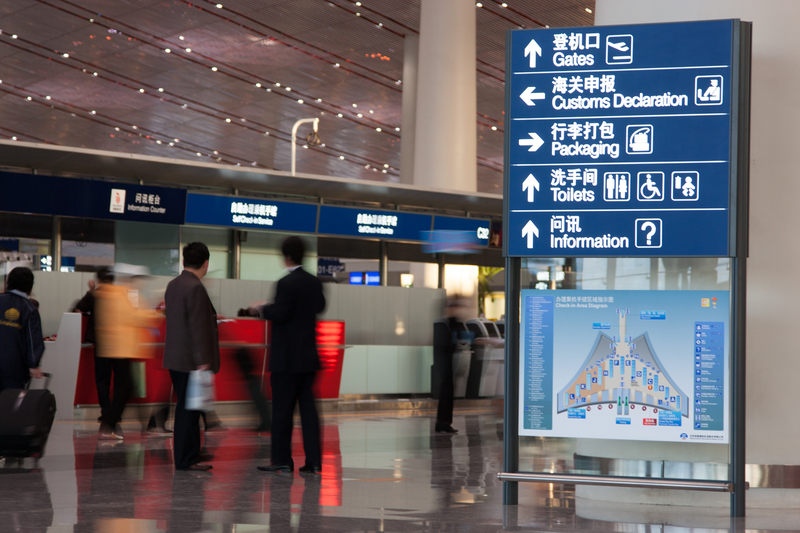 In June 2010 I was departing Beijing International Airport for London with a colleague. Whilst my colleague was sorting out his abysmal admin, I propped myself up at the BA desk and surveyed the surrounding scene of the airport. My attention was immediately drawn to a male looking up at the information board. He was Western European in appearance and did not have any baggage with him. As I observed, he turned around and looked directly towards me. Bingo. We left the desk and walked towards the escalator. As we walked I turned around and there he was, following. I told my colleague and we paused at the top of the escalator and eye balled him. He had a single black wire leading to an earpiece in his ear. I looked around the area for any possible accomplices. The male broke into a smile and it was clearly as a result of someone on his ‘net’ making fun of the fact that we had ‘pinged’ him. We waited and continued to observe him which most likely made him feel uncomfortable as he then made his way to inside a jeweller’s shop. We followed and watched brazenly making it known that we ‘know’. Unfortunately, due to time constraints we couldn’t play games and had to make our way to the departure lounge. Two days prior to this incident, we had landed at Beijing Private Air Terminal in a foreign (to UK and China) registered private aircraft and visited a foreign Embassy in Beijing. In the evening, in the dark, I left the Embassy with the Principal with all of the remainder of those accompanying having been instructed by the Principal to finish for the day. As soon as we departed the Embassy gate we were held at lights and I immediately noticed the vehicle behind us ‘4-Up’ with four males. I made a note of the registration and with each turn left and right, the vehicle behind followed. Sat in the rear, I turned around in my seat to make it known to them that I was watching and unsurprisingly, they pulled off. This apparent ‘follow’ was supported by my colleague who observed the vehicle sliding in behind us having been positioned static outside the Embassy with its lights off. There are only a few reasons why anyone would use the country lane where I live; to use as a road serving the next village, to drop kids off at the local school but very little else. As a village, my continual process of mental ‘vetting’ of those ‘unknowns’ around me becomes a comparatively easy task in comparison to when I am in London or for those who reside in busier settings. Those persons/ vehicles owned known to reside nearby are ‘disregarded’, those that are new to the area/ newly observed tend to stand out from the rest. These are noted but without fanfare. However, increased attention is paid to repeat sightings of that ‘newly observed person or vehicle but more so when accompanied by ‘without reason to be there’. Dog walking on several occasions within the last 2 years identified just that; a male stood outside his vehicle whilst parked in a layby and on the phone. Nothing particularly outstanding about that other than observing this man and vehicle several times within a very short period of time. The vehicle was also a silver coloured Vauxhall Vectra, the old type that you simply do not see around these days. Noted – and recorded. During this period of the same sighting of the same male and vehicle, another unknown individual was also sighted, this time a blonde-haired woman. She was on foot walking up the lane behind me – an act I had never seen before on this lane. She was on her own, without dog and walking in the direction of no-where. As I was dog walking, I turned around and looked at her; she then immediately asked me where the school was. I replied. “Up there, take the first right then the left”. I then turned left and after only walking another 50 meters, I turned and observed through the hedgerow that although she turned right, she had then turned right again to bring her back towards the main road – an act that is glaringly obvious to the fact that she had no intention in going to the school. This ‘burning’ of oneself in an op in ‘showing out’ your presence/ identity in such obvious fashion coincidentally coincided with the fact that both the male and female and the car in question was never to be seen again. During the next meeting with my colleague I mentioned my suspicion and surprisingly he also stated the same matching the description of both individuals and the vehicle. In his particular case, the vehicle had conducted a slow drive-by of his house located in the North as if it were a confirmation of where he lived. 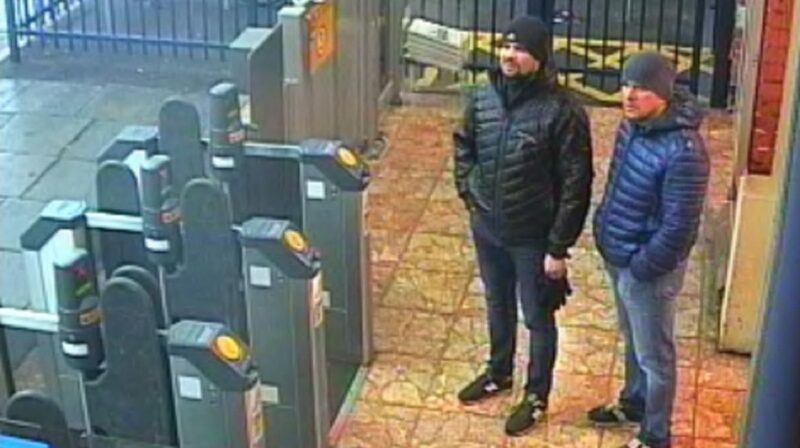 Yesterday it was reported in the world’s media the identities of the two Russian individuals, Alexander Petrov and Ruslan Boshirov, who are wanted for the attempted murder of Sergei and Yulia Skripal. 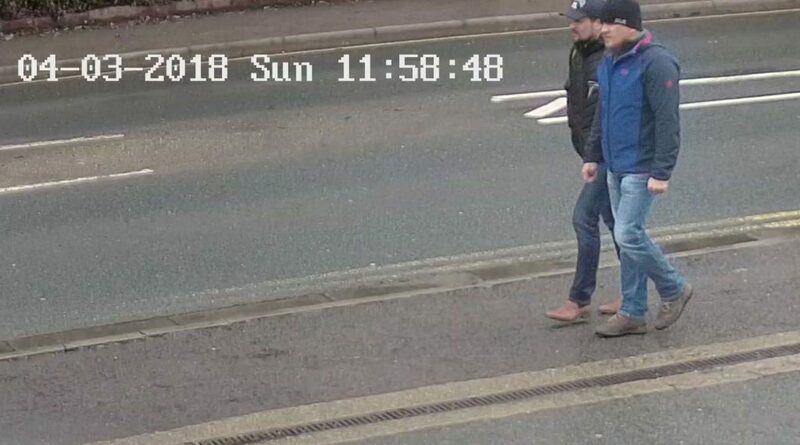 The Police released, in part, the outcome of the 6-month long investigation that showed Petrov and Boshirov arriving into the UK, conducting a recce, then operation and then their departure back to Moscow. The investigation by the UK Security Service also uncovered that both individuals are serving members of the main military foreign intelligence service of the Soviet Union – the GRU, an amalgamation of Intelligence and Special Forces operators, the skill set of which would include covert surveillance ‘tradecraft’. In the immediate response from the Russian Government, they categorically deny that Petrov and Boshirov are GRU – even though the UK Government has evidence. It has to be said of course, that the part reason for the Russia denial is the very amateurish operation conducted by both operators concerned. Embarrassment at having been caught with their hands in the cookie jar when those very hands are meant to be of those of some of Russia’s highest trained covert operators remains an embarrassment of internationally epic proportions. Walking around together in similar clothing that appear of the ‘military cut-out’ in brazen recklessness has thwarted their action of an entirely covert operation on UK soil. There remain differences in approaches to surveillance training within government spheres between the UK and Russia. Whilst the UK deliver a relative short 12-week course, their approach is based on swamping the area with many operators using a rolling handover between them. Russia, however, adopts a far more in-depth training process to their operators in aligned specialist activity such as Covert Method of Entry and Close Target Reconnaissance, specialisms whereby the UK would provide as separate stand-alone courses for those wishing to specialise. Although fewer operators would be present on the ground, their further skill sets mastered would include HALO/ HAHO parachuting and specialist weapons and tactics – aspects that also only our Special Forces surveillance units such as the SRR would undertake – that said of course, selection and basic training of a SRR operator is 6-months. In all of the above, there are lapses in correct approaches to blending in, appearance and conduct, basic lessons on any surveillance training program and basic requirements in any surveillance operation. If you are seen, the operation is then compromised. The only difference in the Skripal case, is that the operation was conducted without being compromised and the op could well have been successful in terms of an assassination. The fact that they had little respect for the level of CCTV cover in the UK and the investigative skills of our Police and security services has led to an embarrassment and operational failure in its entirety. Preparation for the operation was also shrouded in failure with their clearly bogus passports details differing by just one single digit. 12th September 2018 – President Putin declares both Petrov and Boshirov are known to the State, that they are not former or serving GRU but civilians and continues to deny any of Russia’s involvement in the Novichok saga. Comment – There remains far too many facts that rub against Putin’s statement including proven members of the GRU by MI6. The UK’s PM simply would not provide a statement to the UN Member States without undeniable evidence of that fact. Further evidence of the same two individuals visiting other countries in Europe for similar short duration also raises questions in addition to the manner of their conduct during their visit to the UK and Salisbury. 13th September 2018 – ‘Tourists – Not Terrorists’; Petrov and Boshirov come forward and stated in an interview with RT’s Editor-in-Chief; that they are both named as Petrov and Boshirov. They stated it was them as on the CCTV footage. They claimed they planned to visit Salisbury Cathedral and Stone Henge but left due to the weather and that they returned the following day to try again. They both deny anything to do with the attempted murders. Comment – It appears that Russia is forced into a corner with regards to having to surface with both Petrov and Boshirov and that they simply could not be stated that they can’t be found – given that Russia are supposedly to have one of the highest levels of intelligence services in the world and that both were caught on CCTV. Given that their reasoning is simply ridiculous it does not of course explain why the Novichok agent was discovered in the hotel room in which they stayed in East London. If you would like to be trained in covert surveillance then drop us a line or click on the sig block below to read more. We have just launched our 2-week course but if you would like a far more in-depth level then we also provide the longest and most intensive surveillance training anywhere within the private sector at 8-weeks. As the Russian proverb states; “A Fisherman Always Sees Another Fisherman From Afar”.